It is possible that I eat far more macaroni and cheese than any childless adult my age should. But I really love the stuff. I also really love grilled cheese (yes, as "sophisticated" as I like to deem my taste buds, sometimes my inner five-year-old just wants to get her way). And wouldn't you know it -- Kraft has managed to combine those two loves into one cheesy dinner. We're off to a good start already! 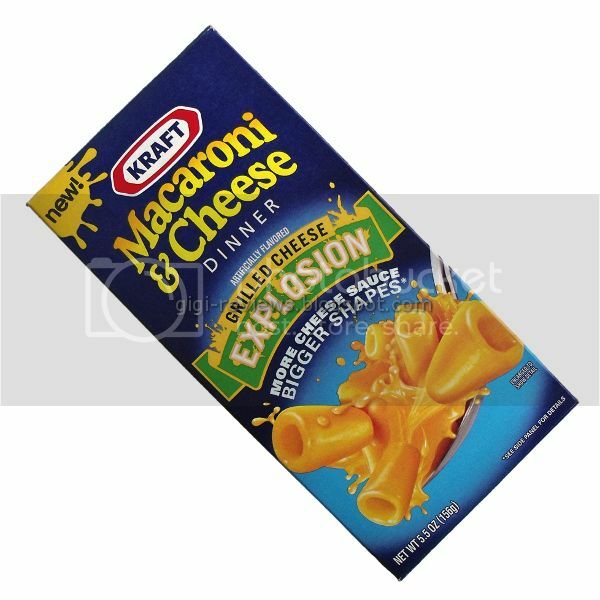 Much like Kraft's Deluxe line, this version also features a different pasta than the traditional elbows included in the classic box. This one has little tubes. I am an elbow purist as a rule, but tubes are a fun shape. 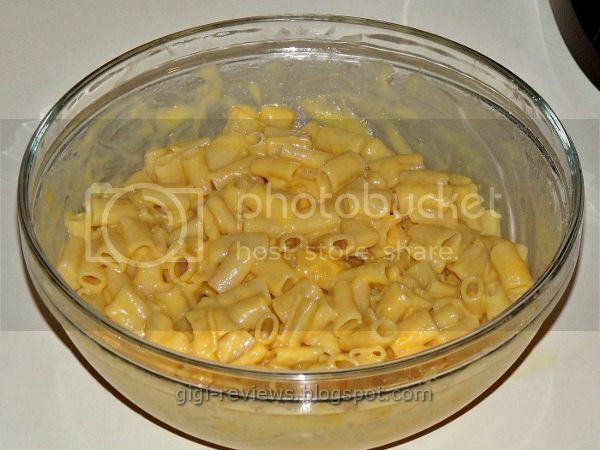 You make this version just as you do the classic; i.e., you simply boil and drain the macaroni, add milk and a little butter, then stir in the contents of the powdered cheese packet. The resulting sauce is a little thicker than the classic version -- but I like that in my Mac & Cheese, so no complaints there. The flavor is supposed to be grilled cheese, as in grilled cheese sandwiches. Honestly, I can't say I would have put two and two together without the box telling me what it's intended to taste like. So what do I think it tastes like? I think it tastes like the classic, only sharper. The cheese is more "dry"-- and I mean that in a good way. It's like they added a really strong, hard cheese to the mix. I think this version would be really good baked, with something nice and crusty on the top. Overall, I really liked this. I can see kids not noticing that there's much different. But I think it would appeal to the adults who are eating it, regardless of whether it's because they like Mac & Cheese on their own, or whether they're eating it simply because the kids are. As for me, I will definitely eat this again! 310 calories per 3 ounce serving. I always add more butter and less milk to the thick and creamy version of kraft mac and cheese. I love it when there are still little thick hot orange colored clumps of "sauce" on my mac and cheese. I am so excited to try this version! I'm sure I'll get hooked on it, then kraft will stop making it, but I'll enjoy it while I can. Natalie: You are probably going to laugh- regardless of the box directions I insist that my mac & cheese be made with EXACTLY 2 tbsp each butter and milk. I can't remember when I settled on that being my personal version of perfect consistency but it is. I keep meaning to pick up the new version that you actually bake in the oven and comes with "crunchy" topping (I believe it's called the Home style version). If nothing else I like the ad campaign. i didn't like this flavor of mac and cheese at all, which is surprising because i've like every other one that kraft has produced in the past, including the other two cheese explosion flavors. i just thought it had a funky taste an a horrible after taste. it didn't taste like mac and cheese. it tasted really chemically and gross. I don't know. it was just not the best thing i've ever tasted, and i threw the rest of it out after two bites. No just kidding. I think for a lot of people it's the more pungent cheese that's off putting. I liked this flavor but by the same token I am not a fan of the new Home Style line. 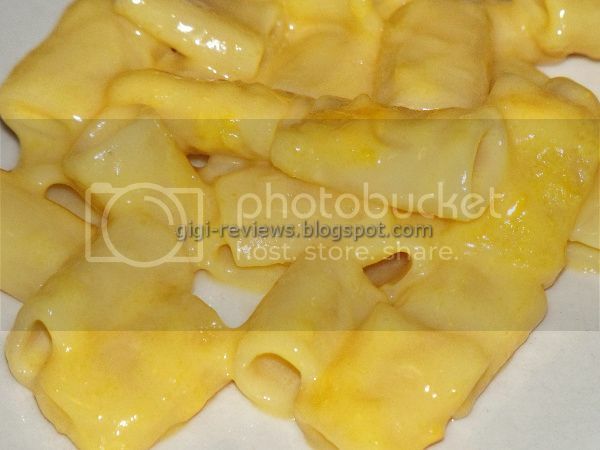 Where in the F is this kind of Mac & Cheese?!?!? Me and my brother have been searching all over Kansas. For the love of God HELP US!!!!! Ashra: I got this box directly from Kraft as a sample- but I see that it is stocked at my local Albertson's supermarket. I did some Googling and while there are no Albertson's in Kansas there are Save a lot stores which have the same parent company (Supervalu). That is where I would try.